Broadway.com | Photo 27 of 61 | Richard Fleeshman, Caissie Levy & More Celebrate Three Little Words: Ghost Opening Night! The new musical based on the popular film of the same name arrives on Broadway. Richard Fleeshman, Caissie Levy & More Celebrate Three Little Words: Ghost Opening Night! 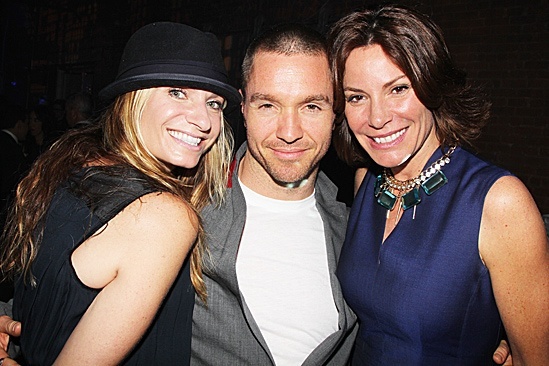 Ghost choreographer Ashley Wallen looks right at home between two of New York’s Real Housewives, Heather Thomson and Countess LuAnn de Lesseps. Ghost opens at the Lunt-Fontanne Theatre on April 23, 2012.